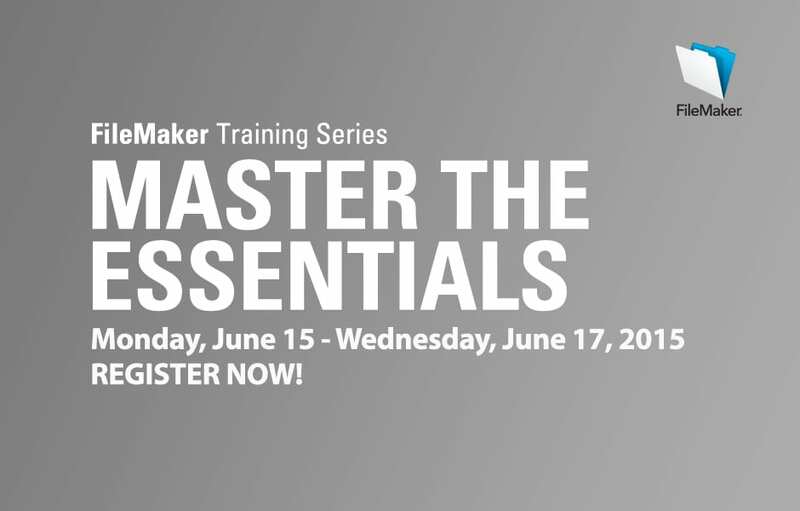 FileMaker Training Series: Master the Essentials of FileMaker 13 June 15-17 REGISTER NOW! for a three-day FileMaker Training course for intermediate and advanced FileMaker developers who are ready to take their solutions to the next level. We have chosen a number of great lessons from the official FileMaker, Inc. training curriculum that are appropriate for developers who already have some experience but need to dig deeper into what FileMaker 13 has to offer. ** 20% discount per student if you register before May 1, 2015 - that is a $300 savings! Seats still available for the June 15 - 17th session. REGISTER NOW!